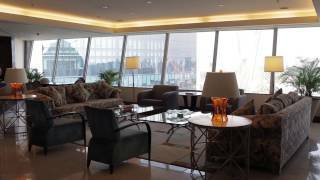 Welcome to Hilton Sao Paulo Morumbi Hotel. Offering working area with stunning city skyline or Estaiada bridget views. ... and attention to every single detail! Pamper yourself with a treatment in the Amazonian Spa, with exclusive Brazilian treatments. Take a break and relax with our several coffee and Brazilian selections at CaffeCino, our Sao Paulo CafÃ©. two boardrooms, and stunning Sao Paulo views. and a creative selection of drinks await for you in the Bar. 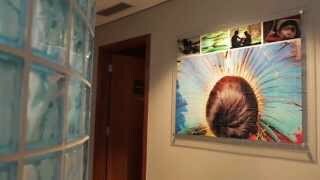 while you admire our hanging art gallery! 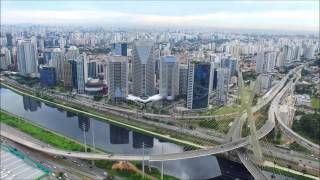 Video with stunning aerial views, recorded with drones, of the Hilton Sao Paulo Morumbi hotel, Estaiada Bridge, Marginal Pinheiros in Sao Paulo, Brazil. With convenient access to businesses, a heliport and shops. Close to Avenida Berrini area and main shopping malls such as Morumbi Mall and JK Iguatemi Mall. Only 15 minutes by car to Congonhas local airport. Enjoy our 28th floor pool with panoramic views of the city skyline and The Estaiada Bridge. 15,000 sq. 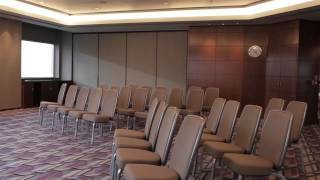 ft. space for meetings, conferences and events in Sao Paulo. And our modern Canvas Bar & Restaurant, with a hanging art gallery and 170-label wine cellar. The Estaiada Bridge is one of Sao Paulo's postcards. Enjoy stunning city skyline views from our rooms, considered one of the most beautiful in the world. Discover Sao Paulo with Hilton Sao Paulo Morumbi! and enjoy our exclusive amenities and upscale services. complimentary WFi and Executive Lounge access. we have the right room that best fits you! Enjoy contemporary cuisine and an international selection of wines at the Canvas Bar and Restaurant or the finest coffees, home-baked bread, sandwiches and desserts in Caffe Cino. The casual Sol and Sombra offers the Breakfast by Hilton, specially prepared early each morning, and a delicious lunch buffet. The casual Sol and Sombra offers the breakfast and a delicious lunch buffet. Take a break and relax with a selection of Brazilian coffees and a pastry in our cafÃ©. WiFi, happy hour with open bar, and two boardrooms. while admiring our hanging art gallery. Plunge into the 28th floor rooftop pool overlooking the Sao Paulo skyline. 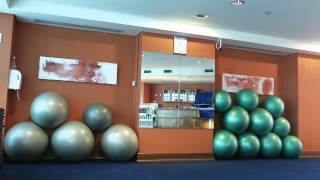 Invigorate in the 24-hour LivingWellâ¢ fitness center and unwind in the sauna and relaxation rooms. and with day use rates available to non-guests. Escape to the Amazonian Spa and experience total relaxation and rejuvenation. with a variety of treatments while surrounded by the serene scents and sounds of the Amazonian Forest.